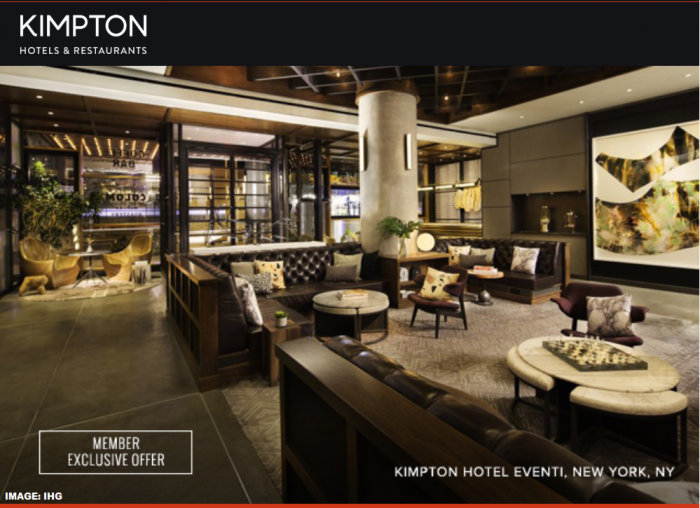 IHG Rewards Club Kimpton has released their Last Minute Deals for this coming week/weekend of January 8 – 13, 2019. 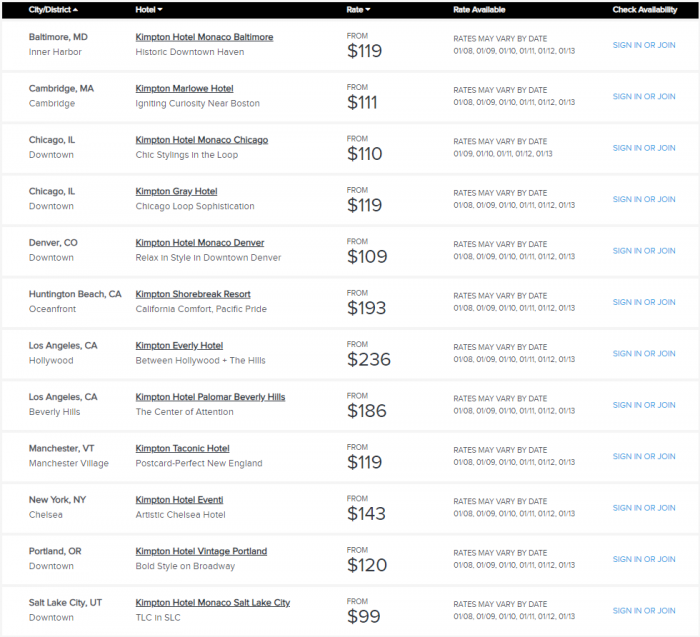 Many of the Kimpton features have survived the IHG integration including these Last Minute Deals that I would like to see extending to some other full service brands such as InterContinental and Indigo. 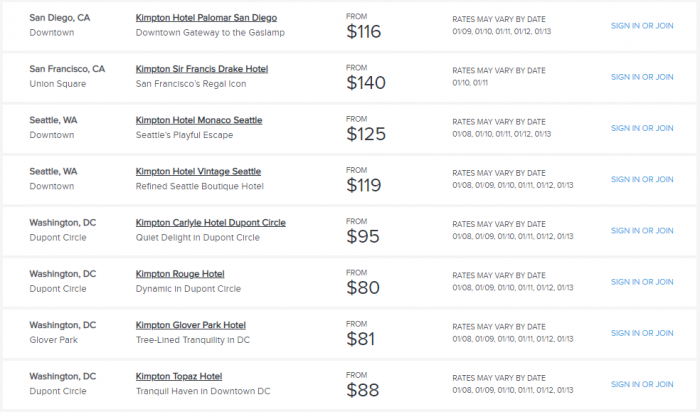 These are good way for hotels to push their weekend inventory when occupancy levels for the hotels are softer because business travelers have their time off.